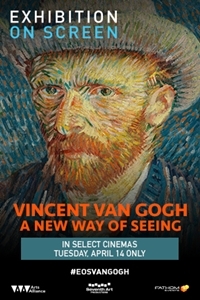 Fathom Events, Arts Alliance, and Seventh Art Productions are elated to bring Vincent Van Gogh - A New Way of Seeing from the Van Gogh Museum in Amsterdam to select cinemas nationwide on Tuesday, April 14. Enjoy complete and unprecedented access to the treasures of Amsterdam's Van Gogh Museum in a special re-showing of the gallery's collection in celebration of the 125th anniversary of Van Gogh's death. With exclusive new research revealing incredible recent discoveries, the Van Gogh Museum has helped craft a cinema experience like no other.